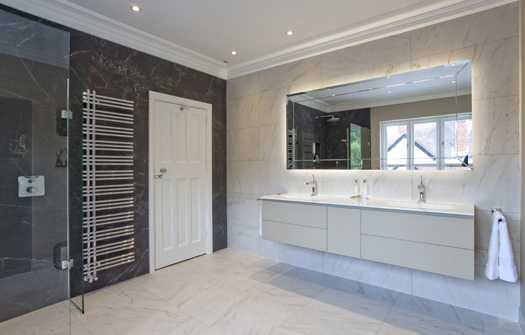 Characterised by clean lines and a sleek finish with sophisticated design accents, a modern bathroom can combine elegant functionality with a contemporary, stylised edge. 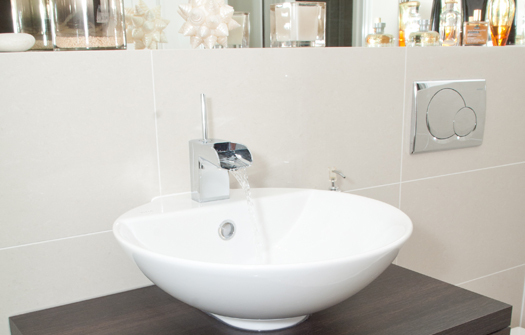 By using simplistic, geometric styling, you have an ideal opportunity to add interesting design details with exciting bathroom furniture or a feature bath. 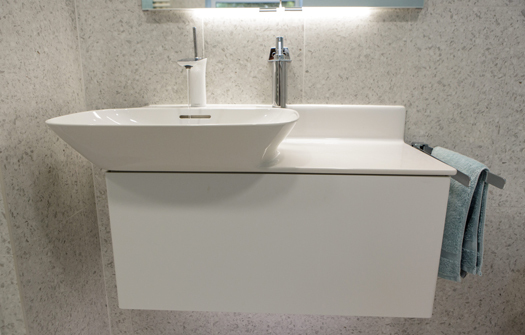 Maintain a spacious clutter-free, comfortable and easy-to-clean space with handleless cabinetry to house all your toiletries. 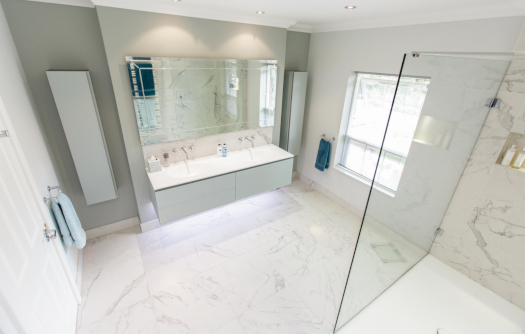 You can optimise the space in your bathroom by including a geometric wall mirror or choose floor-to-ceiling mirroring for a really bold effect. 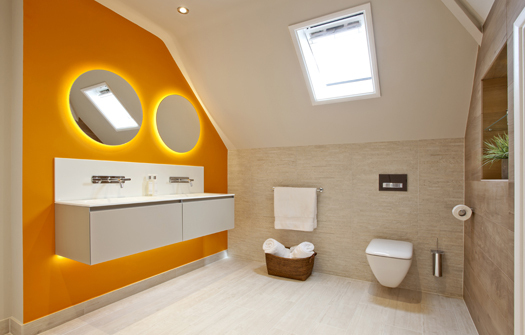 Lighting is an essential component in the overall design and finish of the bathroom, with functional lighting for making up or shaving. 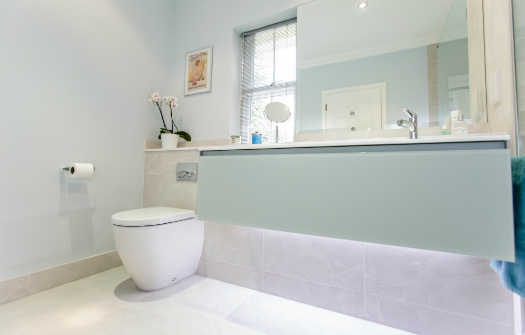 LED feature lighting can make a focal point of a dark bathroom with little or no natural light. Add a splash of colour with a bold, bright armchair or a patterned, papered wall. A simple pot plant will bring a fresh touch of nature and add an organic, fresh feel to the space. 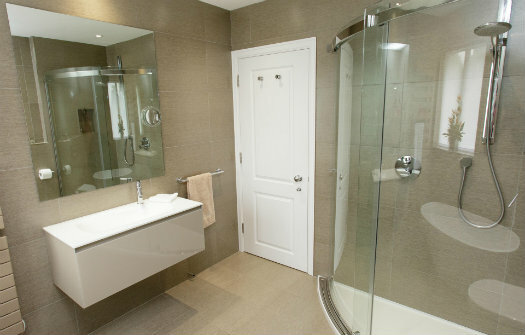 Your modern bathroom offers a sanctuary for all the family to feel refreshed and shower or bathe. 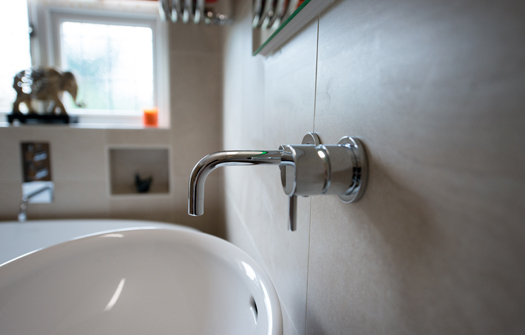 A lovely place to be if you’re relaxing in a warm bath after dashing about after children or grandchildren, or you’re getting ready for a night at the theatre.